This story book is intended to create interest among little children towards reading habits beginning with small stories. This book hopes to inspire readers to do good deeds in their lives. These stories are based on the author’s own childhood experiences when he, along with his brothers and friends, lost no opportunity to listen to such stories with great interest and attention, and to inculcate them in their lives for the benefit of the community. 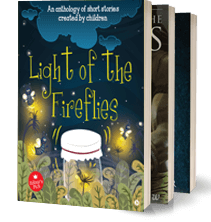 The stories contain not just educational messages, but also capsules to give an impetus to readers to hone their skills and not to leave behind the message like an old paper in a dark and dingy room after reading it. Suresh Chandra Verma is a well-qualified person associated with the corporate in various capacities during his career. During his tenure in the organisations like ACC, Tatas, he absorbed some of the finer values of human life which changed his outlook. He has also worked with some NGOs which enabled him to mingle closely with school children of various age-groups. These interactions gave him an opportunity to understand their aspirations, expectations and life-styles. It inspired him to write a book for the children to mould young minds. The plots of the stories have emerged from the real-life experience of the author with children of every strata of society. He currently lives in Mumbai with his wife Leena, son Amit, daughter-in-law Rimshi and loving granddaughter Suditi and spends most of his time in social service and writing.